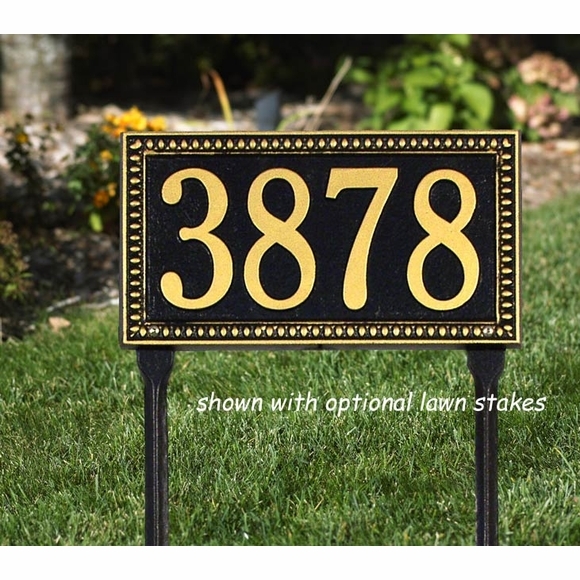 Personalized Address Sign with Egg and Dart Border - - 13" x 7.25" rectangle sign with egg & dart border. Holds one or two lines of personalization. Made in USA. One line or two lines of personalized text. Also available in large estate size (see Related Products). The classic egg & dart border has its roots in ancient Greek architecture.